911uk.com - Porsche Forum : View topic - LHD Black Mamba! 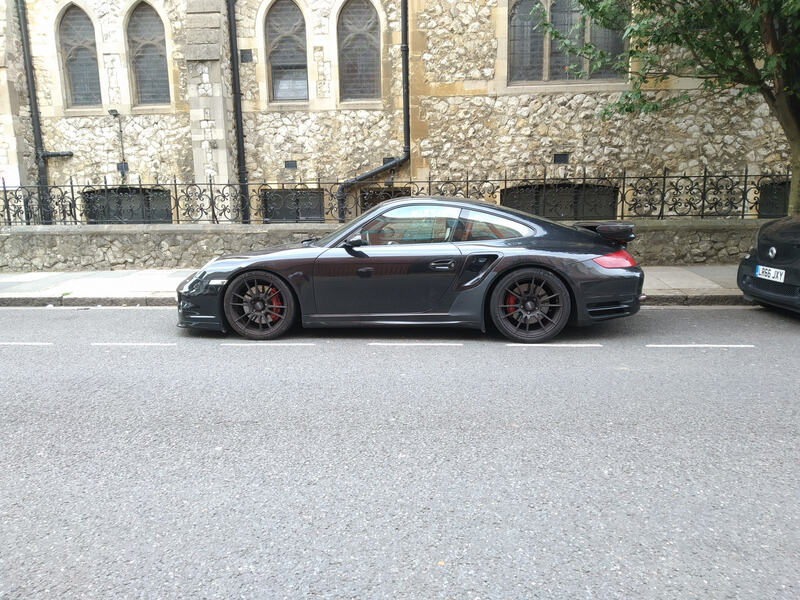 911uk.com Forum Index > 997 (2004 - 2012) > LHD Black Mamba! What is the current set up to achieve 800 to the wheels? Tuned by Todd at Protomotive. I run the car on MS109 with 100% meth at 1.7 Bar or at 1.45 Bar on 100% meth and 98 pump. I used to think it was fast, until my friend built his 1200, now I feel like a golf gti. 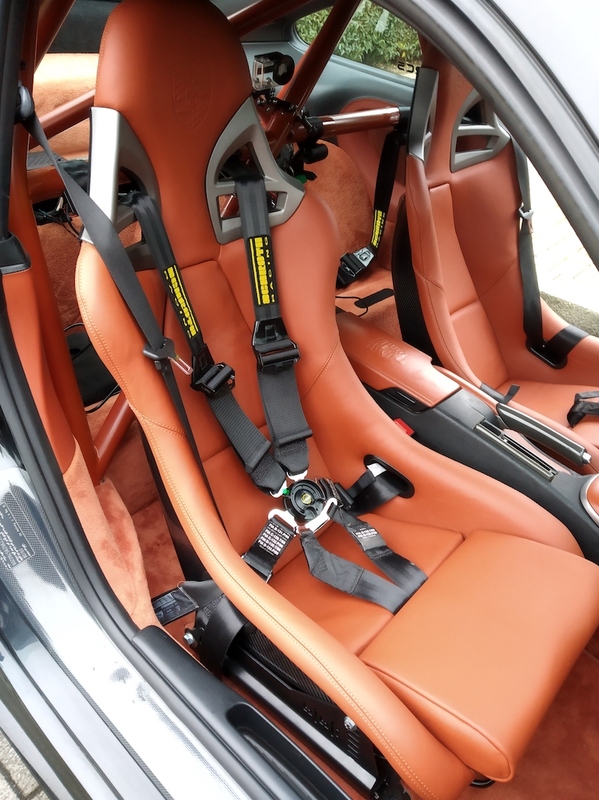 Managed to install the harnesses over the weekend along with a fire extinguisher. 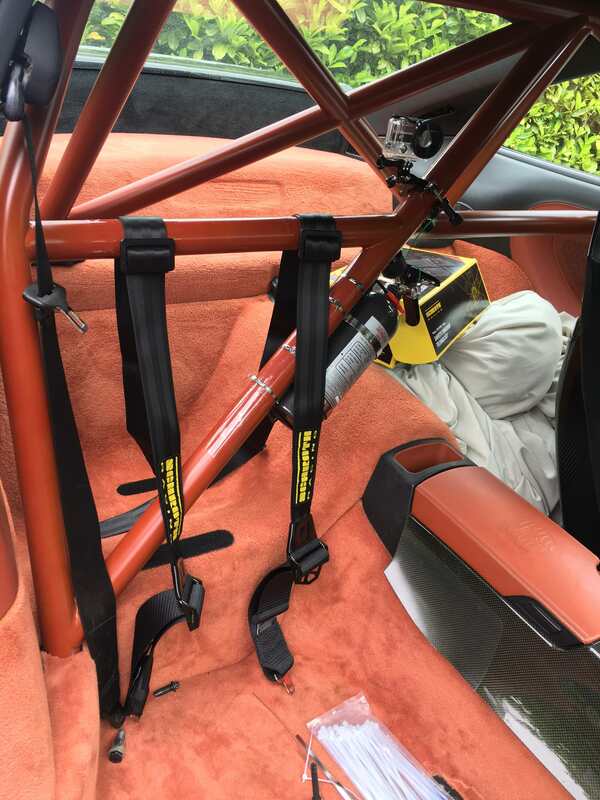 Harnesses are Schroth, seats are D911 and the base and sliders are from BBI. I wrapped the bar in PPF where the extinguisher goes and the seat belts so the paint doesn't wear through. Can someone tell Me where you can get an aero kit from???? .........although I think you would be really lucky to find a full kit available. 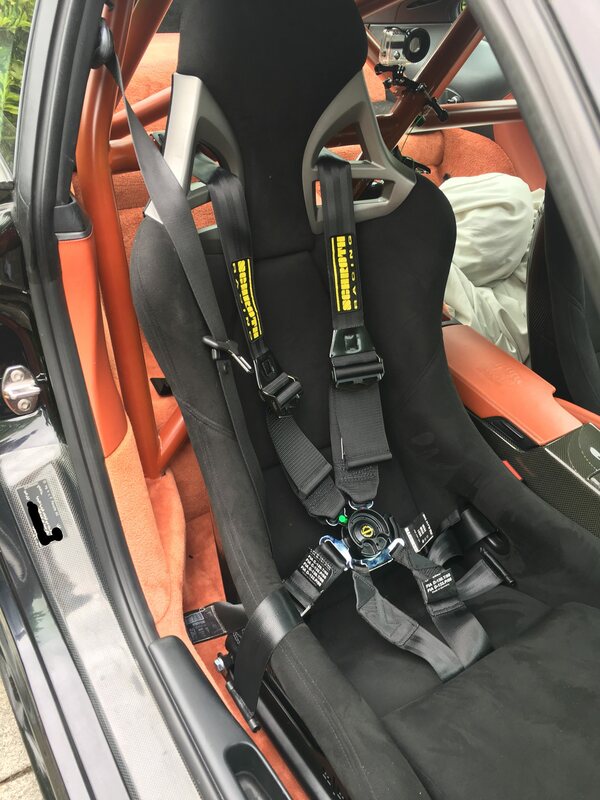 Please let me know if you hear back from Teile, I mailed them a few times about the carbon folding seats and they never got back to me. Worth a call to them to see if they can still get them. 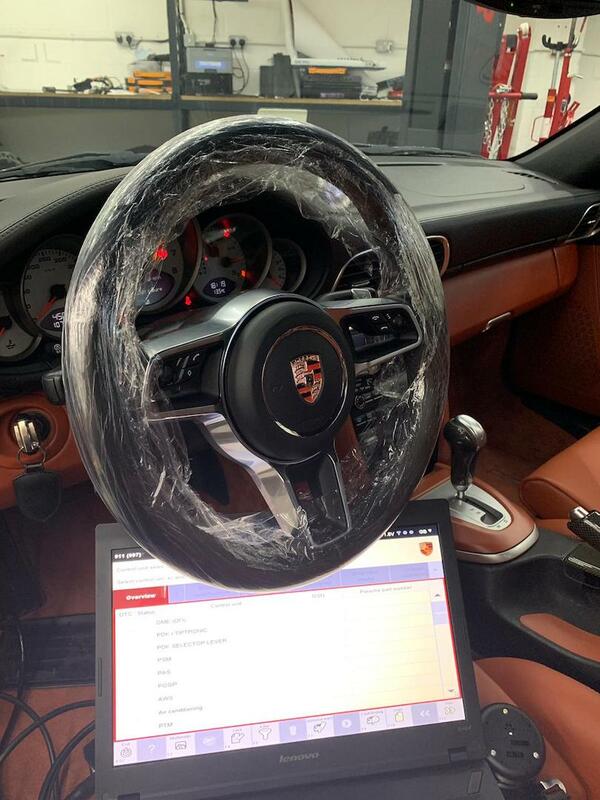 The car is now running Syvecs S6+ and running like a champ. Walks an Aventador with ease. Love the antilag and two step! I can't praise Syvecs and the guys down there enough, they really make an amazing product and customer service is more than 5 star! I installed completely straight pipes from turbo out from FVD, they sound crazy! Ive also installed an ES Motor transmission and had them tune my TCU, transmission shifts much harder and faster with zero slip now. Definitely a needed upgrade. When I dropped the engine to install the transmission and new vacuum lines for the pierberg boost solenoid I also gave the car a major service. Installed the new updated ignition coils from Porsche and now made by bog Warner. Big size difference! I also installed RSS engine mounts. 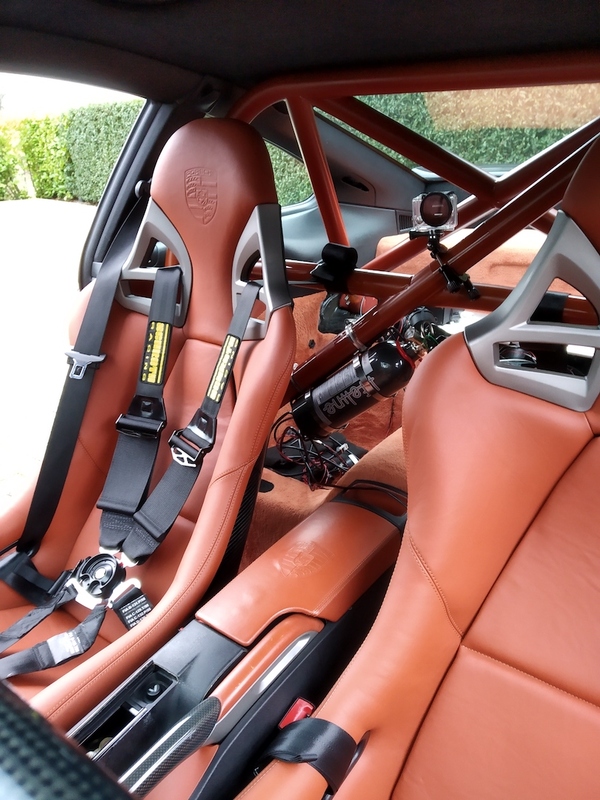 Lastly I have my bucket seats booked in for a retrim in terracotta to match the interior and to add some Porsche crests to the headrests, this is at the end of October so that should have the interior finally finished. Its with lgtrimming and ill post pics when done. Im bored of the OZ's now and am on the fence wanting to either order some BBS E88's or go with HRE 301's. Decisions decisions .. Finally have 5 mins to post a few pictures of the seat re-trim. They came out really well. Also the car has been in the garage for a while having its set up changed around.